This miniature, compact plant grows one foot tall and wide. It has powder blue leaves with prominent dark red teeth and a red, terminal spine. The leaves are narrow at the base and wider at the tips. 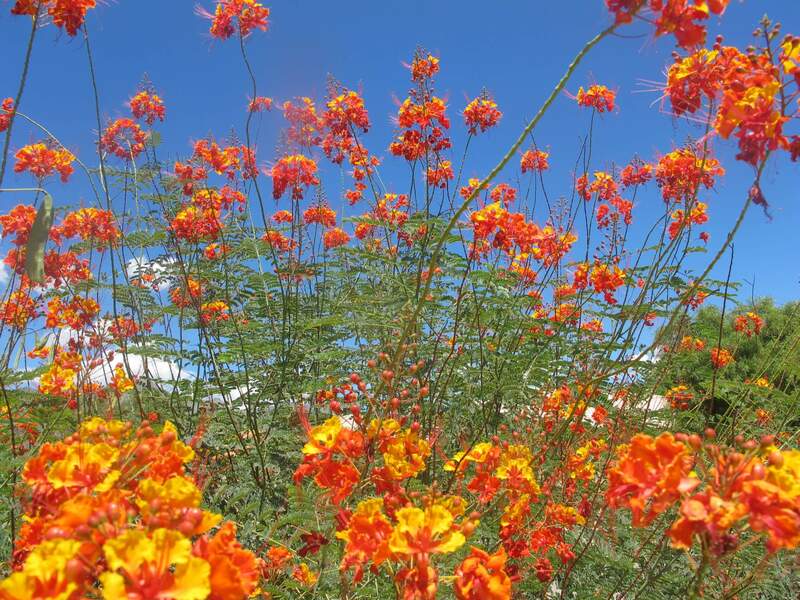 At maturity, it develops a six- to seven-foot tall candelabra flower stalk with two-inch yellow blooms. 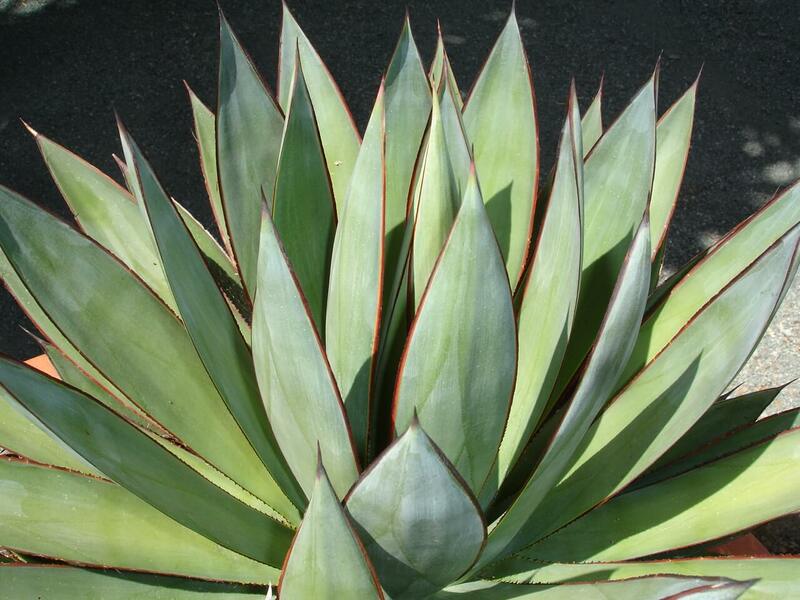 This interesting agave produces many offsets that can be used to re-propagate the plant. The offsets stay close to the mother plant. 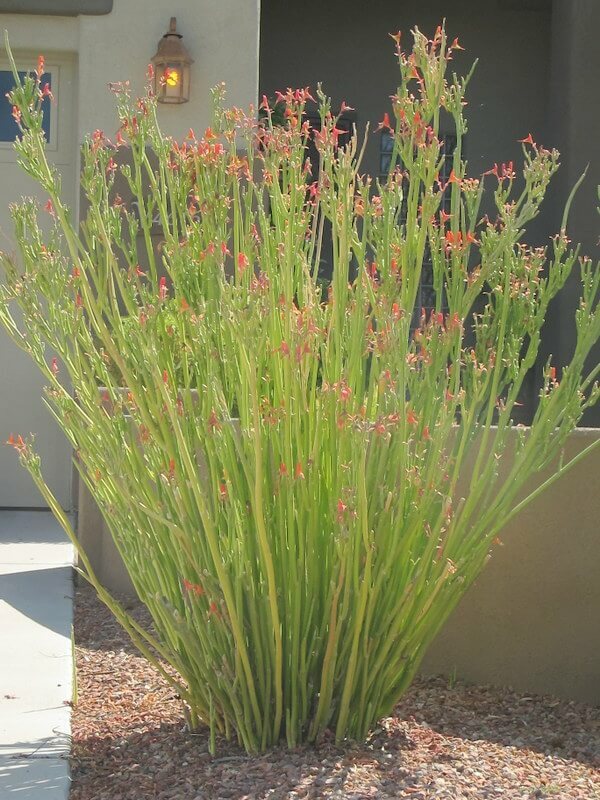 Use it in small beds, cactus and succulent gardens, and rock gardens, or mixed into planters with other low-water-use, drought-resistant plants. Also, plant it as a contrast specimen near the golden barrel cactus. This agave looks nice in containers because of its small size and compact form. 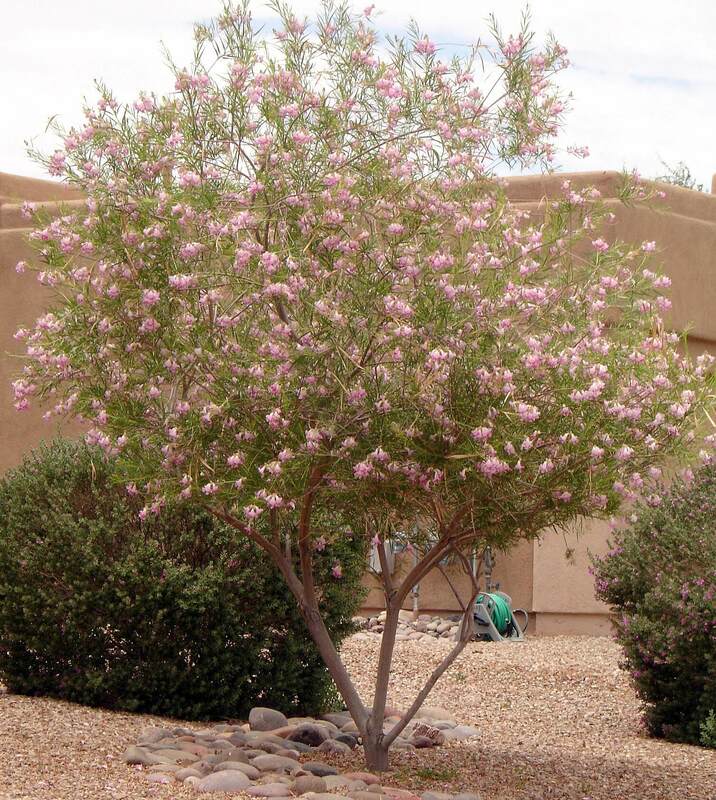 It will also grow well along the coast and is tolerant of salty air and soils. The dwarf butterfly agave is native to the southern coast of Oaxaca, Mexico. 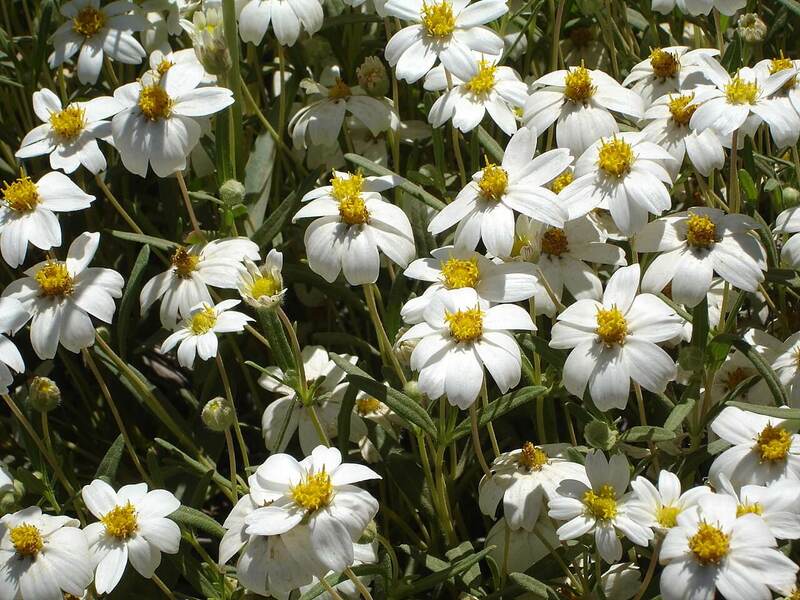 Plant it in filtered sun, where it receives morning sun or in full shade, but avoid a location with hot, afternoon sun. 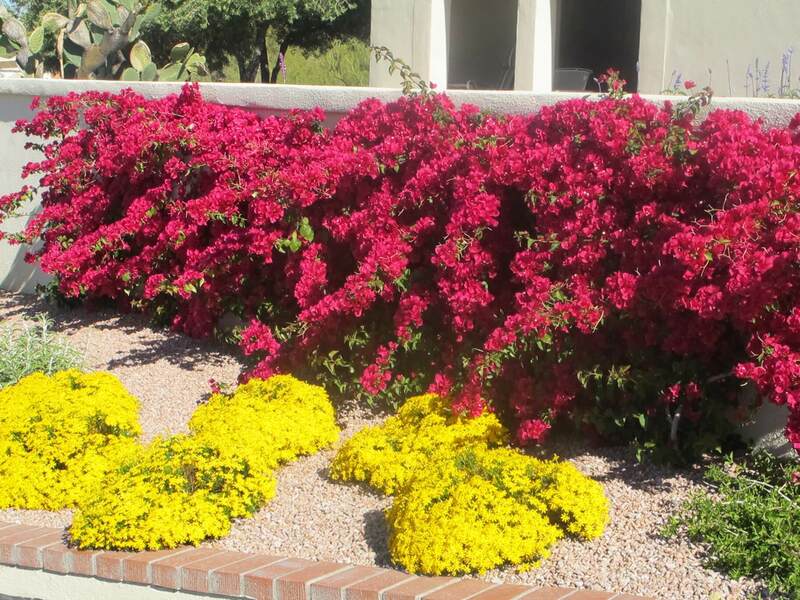 It is drought-resistant but likes supplemental irrigation during the hot, dry season. The dwarf butterfly agave is hardy to twenty-five degrees Fahrenheit or lower, and should be protected during frosty nights. It grows in most soils as long as it is well-draining.